SONGKET Restaurant recently celebrated its fourth anniversary by unveiling a new menu that offers more favourites of yesteryears. The restaurant along Jalan Yap Kwan Seng in Kuala Lumpur is patronised by both tourists and locals for its famous authentic Malay cuisine. Its new menu sees an introduction of more seafood options, such as Ikan Siakap Kukus Mangga and Ikan Masak Lemak Asam, for a variety in fish choices. The kitchen is helmed by chef Umar Zahran Zulkapli, who said seafood as an ingredient was versatile because there were many preparation styles to use in accentuating the taste of fish, prawns or squid. 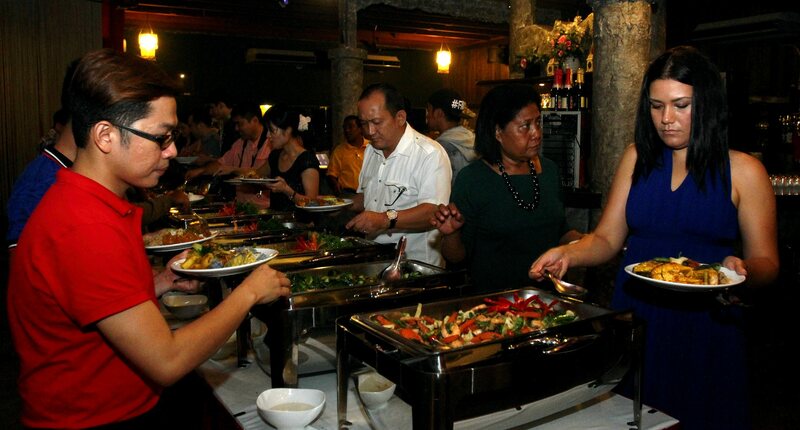 Songket Restaurant attracts both tourists and locals alike, thanks to its authentic Malay cuisine with a modern twist. Some of the preparation methods include Gulai Kari (cooked in a rich curry of spices and coconut milk), Masak Bercili Gajus (cooked with onions, cashew nuts and curry leaves), Masak Lemak Cili Api (simmered pineapple chunks cooked in lightly spiced coconut milk), Goreng Sambal Petai (stir fried petai sauteed in a spicy sauce of chillies with tomato and string beans), Goreng Kunyit (stir fried with shallot, garlic, ginger, fresh tumeric, red chilli and French beans), panggang (grill served with spicy soya sauce, tamarind sauce, budu, cincaluk, sambal mangga and sambal belacan) and Masak Mentega (butter cream garlic sauce with chilli and curry leaves). Other new additions to the menu include Ayam Percik, Lamb Loin and Durian Tiramisu with Compote, among others. 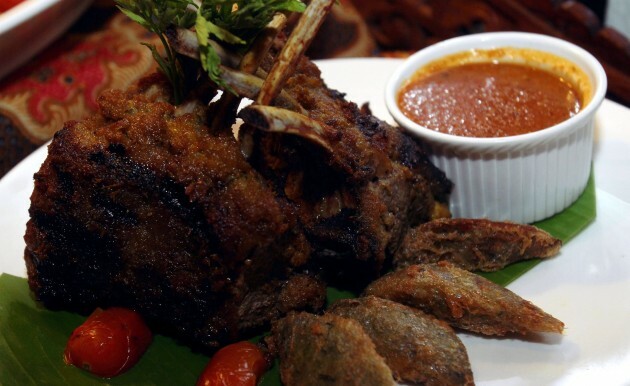 Chef Umar said the Lamb Loin was marinated using the same ingredients used to make satay, while the unorthodox concoction of durian and tiramisu featured durians of the D24 variety, which adds texture to the dessert. 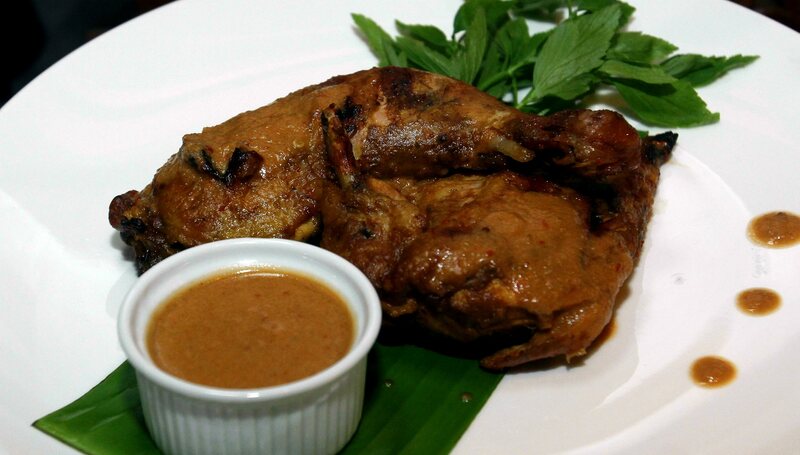 The flavours of the Ayam Percik dish are balanced out to appeal to a wide range of customers. Chef Umar, who has 17 years of cooking experience under his belt, said Songket was known for its traditional Malay fare. However, care is taken in the presentation of dishes for a classier look to whet the diner’s appetite. The chef believes that to deliver authenticity, using fresh ingredients is of utmost importance and these are sourced from various suppliers. Otak-otak, pegedil ayam, popiah goreng and rojak buah are among the appetisers available at Songket. The restaurant also serves Ayam Berempah Bertumis, Daging Salai Masak Lemak Cili Api, Rendang Kambing, Ikan Lemak Asam Gelugur, Ikan Masak Lemak Tempoyak, Udang Sos Mentega, Sotong Goreng Kunyit and Baby Kailan Sos Tiram. The restaurant’s Lamb Loin is marinated using the same ingredients as satay, adding an interesting twist to the dish. Most of the meat dishes I tried were incredibly tender as the meat came apart easily using a fork and the Rendang Kambing, with its robust flavour, is best enjoyed withnasi minyak, nasi putih or nasi kerabu. Songket’s selection of vegetables, including the Baby Kailan Sos Tiram, was fresh and crunchy, adding great flavour to one’s meal. The restaurant is popular for its Masak Lemak Ayam Nangka (chicken and young jackfruit in spicy turmeric curry), Rusuk Salai Berkicap (chargrilled Australian short ribs) and Kerabu Pucuk Paku (wild fern shoot salad), which are the house specialities. Their selection of desserts include Sago Gula Melaka, Karemal Kelapa (cream pudding of coconut milk with caramel syrup), Pisang Goreng Berkelapa (fried banana fritter served with palm sugar syrup and coconut), Brulee Jagung Kristal (homemade cream corn brulee topped with glass sugar). Depending on the dessert, prices can range between RM6 and RM25, while the fish dishes vary between RM30 and RM 65. Other items such as king prawns, flower crab and squid, are priced between RM40 and RM75. Songket occupies a bungalow resembling a house in a kampung and holds multi-cultural dance performances every night to add to one’s dining experience. 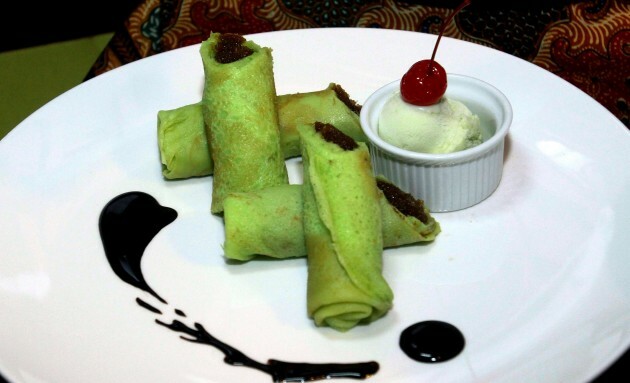 Choose Kuih Ketayap with Pandan Ice Cream for dessert. This is the writer’s personal observation and not an endorsement of StarMetro.